As the fall season closes, the Dallas Harlequins are walking away with a couple of recent wins under their belts. 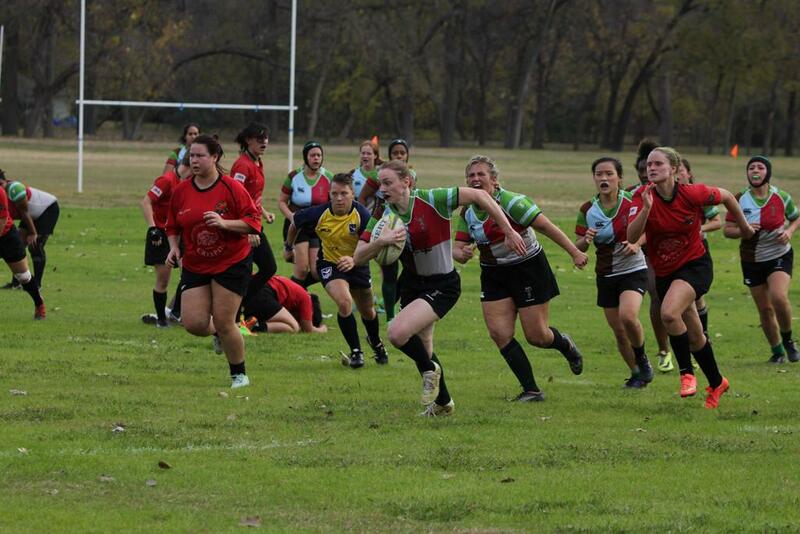 On December 2, the Lady Quins faced off against the Dallas Reds in a friendly match that tested the two local squads. The Harlequins' years of experience and deep squad were quickly apparent, with tries coming hard and fast. The ladies ended the day with 53 points over the Reds' 5. Harlequins Head Coach Gregg Jarvis awarded Woman of the Match to Haley McCohn, wing, and Meredith Yang, who took her place at 9 for the first time with the Quins. The next weekend was the men's turn to bring home the Ws, as they faced off against the Oklahoma City Crusaders in a DII cup match followed by a friendly against the Austin Huns. The Quins second side was captained by Jeff Middleton, whose long history with the Quins shone through as he led the team to a 29-23 victory. The OKC squad awarded Joe Guidry, 8-man, with Man of the Match. Next up was the DI squad, captained by David Keane, longtime captain of the Dallas Harlequins. The Quins put the first points on the board with an early try, but the Huns returned the favor, and much of the match was a tug-of-war. In the end, the Quins prevailed 50-45 over the Huns. Man of the Match was awarded to prop Jimmy Jewison. Head Coach Blake Rodgers is pleased with this ending to the fall but is continuing trainings throughout the winter to keep up the momentum and prepare for cup matches in the spring. Other good news has come to Harlequin staple John Dale, who was recently elected to the Red River Rugby Conference (RRRC) Competitions Committee as the Division I representative. Dale has been involved with the Harlequins in every capacity over several years in positions including Club President, Head Coach, and most currently Match Secretary. Dale's love of rugby spans continents, having started in his home country of England, and he has carried that love to the Quins. We could think of no better person to serve in this position. Congratulations, John! As we enter the holiday season, the Quins extend their gratitude to all of the sponsors who have helped us make the fall a success. Our Annual Golf Tournament featuring title sponsor Cowan Construction was a hit, with support from Buckman Properties, Inc; Scheef & Stone; Waterline Pools; The Dubliner Irish Whiskey; MACA Steel; International Aviation Support; and more. We have recently announced our new kits, sponsored by OES; Axcede Construction; The Dubliner Irish Whiskey; and Scheef & Stone. Thank you to all others who have donated and contributed time, money, and resources to the Dallas Harlequins. We look forward to a great 2018!